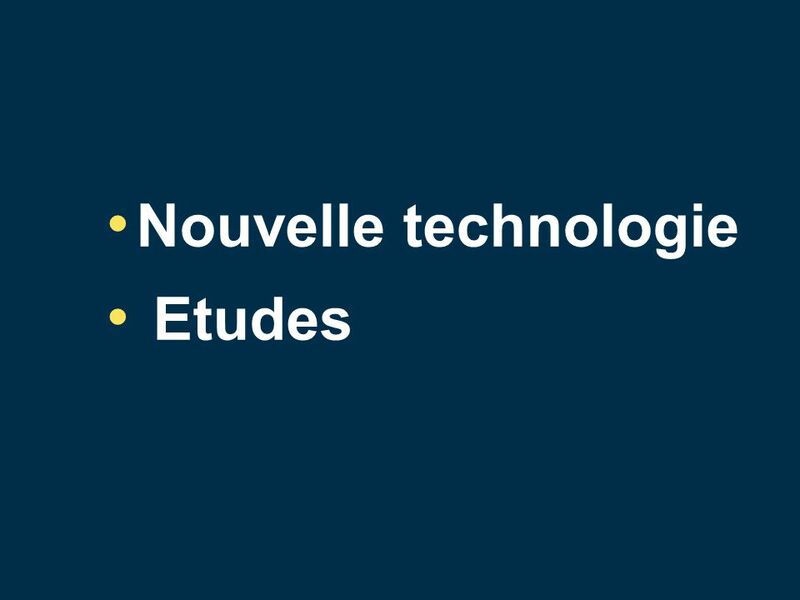 Hélène Eltchaninoff CHU Rouen, France Symposium Edwards Valves Aortiques Hightech 2012 - MARSEILLE Le futur. 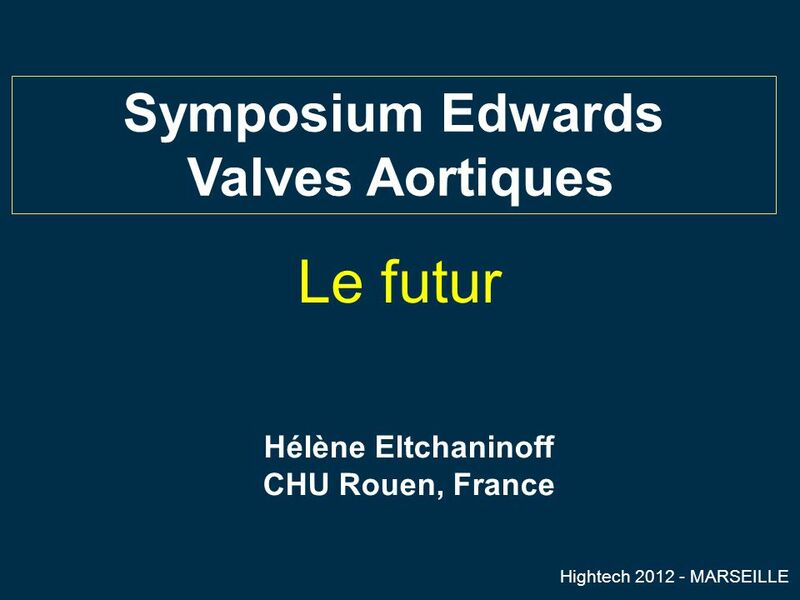 Download ppt "Hélène Eltchaninoff CHU Rouen, France Symposium Edwards Valves Aortiques Hightech 2012 - MARSEILLE Le futur." 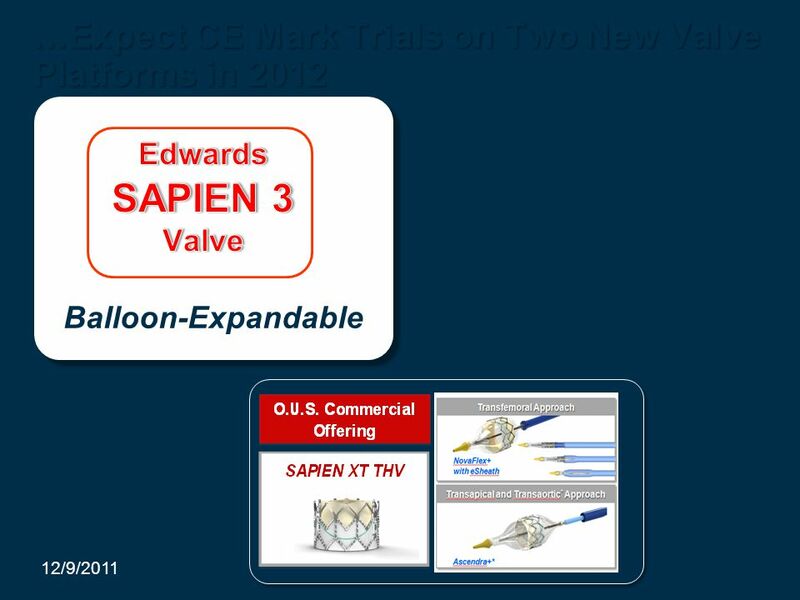 Alternate Access Transcatheter Aortic Valve Replacement (TAVR): A single-sites experience with a viable treatment option for extreme risk patients Zachary. Types of AVR Examples of replacement aortic valves: a) shows an aortic homograft, b) and c) show a xenograft, d) shows a ball and cage valve, e) shows. 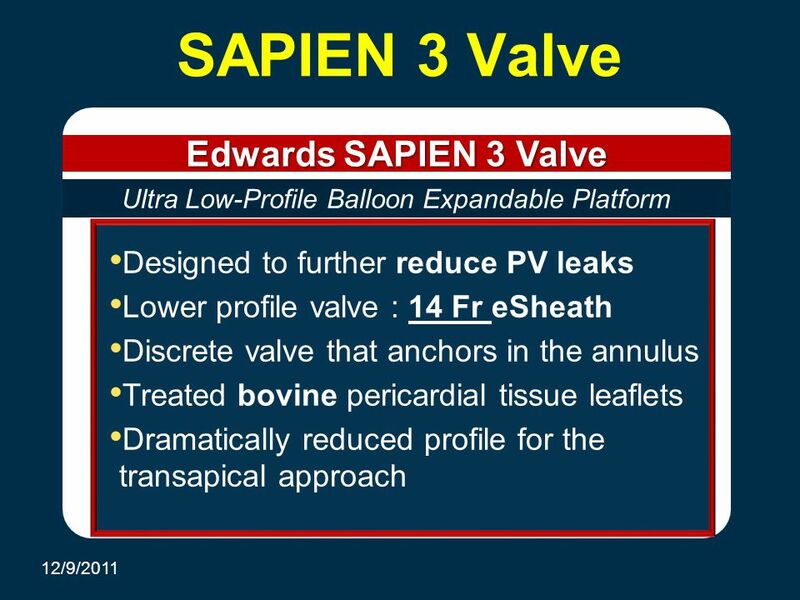 CoreValve – ICE Awards Italian CoreValve Experts Balloon valvuloplasty after Transcatheter Aortic Valve Implantation (TAVI): always safe? Dr Salvi A, Dr. 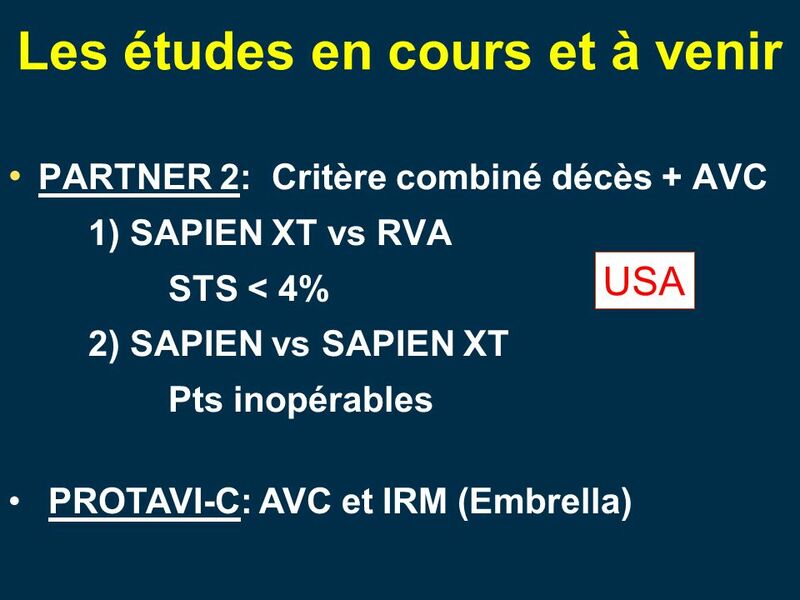 Five-Year Outcomes after Randomization to Transcatheter or Surgical Aortic Valve Replacement: Final Results of The PARTNER 1 Trial Michael J. Mack, MD. Thirty-day Outcomes from the Multi-centre European Pivotal Trial for Transapical Transcatheter Aortic Valve Implantation with a Self-expanding Prosthesis. 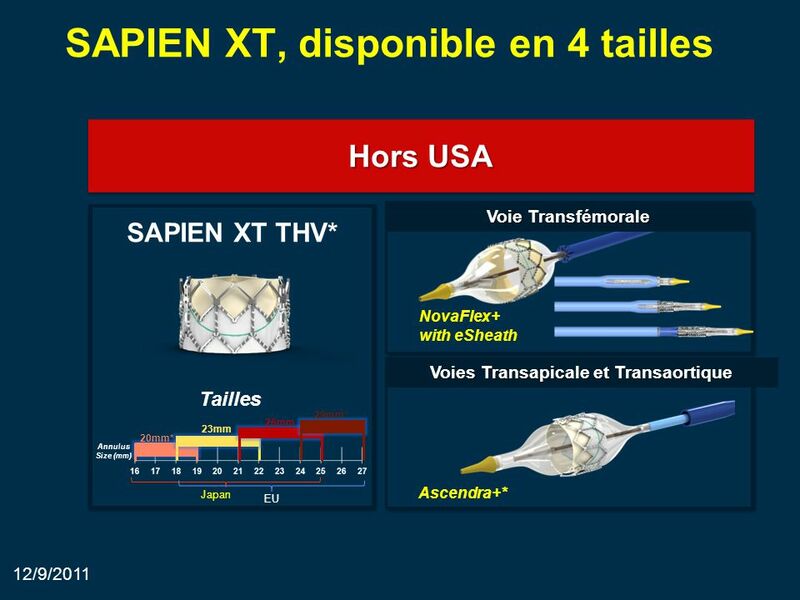 Jeffrey W. Moses, MD Columbia University Medical Center Cardiovascular Research Foundation New York City The State of TAVR -PARTNER: From Concept to Mortality. Marie Erpicum – Perfusionniste Département de chirurgie cardiovasculaire et thoracique - CHU de Liège Marie Erpicum Perfusionnist Cardiovascular & Thoracic. Pinhas (Peter) Dartal 01 June QA role in development of Percutaneous Aortic Valve prosthesis. INTERNATIONAL. CAUTION—For distribution only in markets where CoreValve has been approved. Not approved in the USA or Japan. 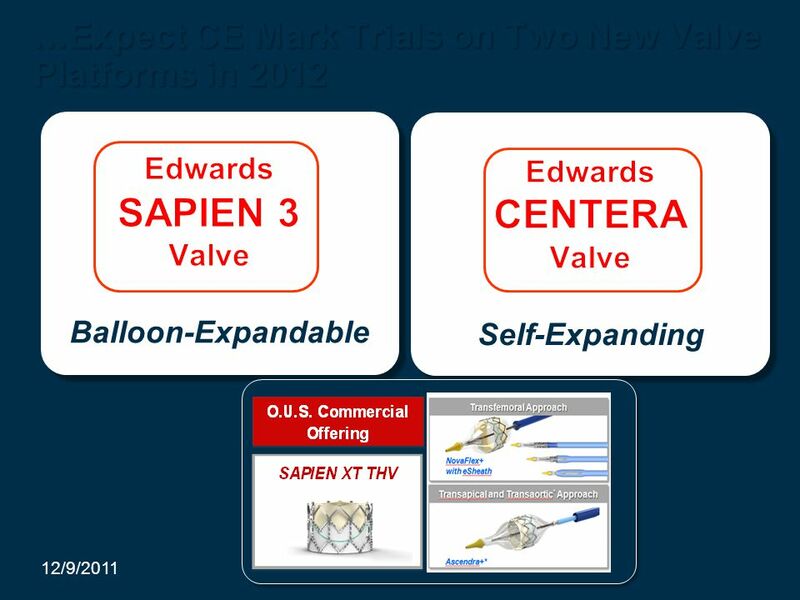 ©Medtronic, Inc All. 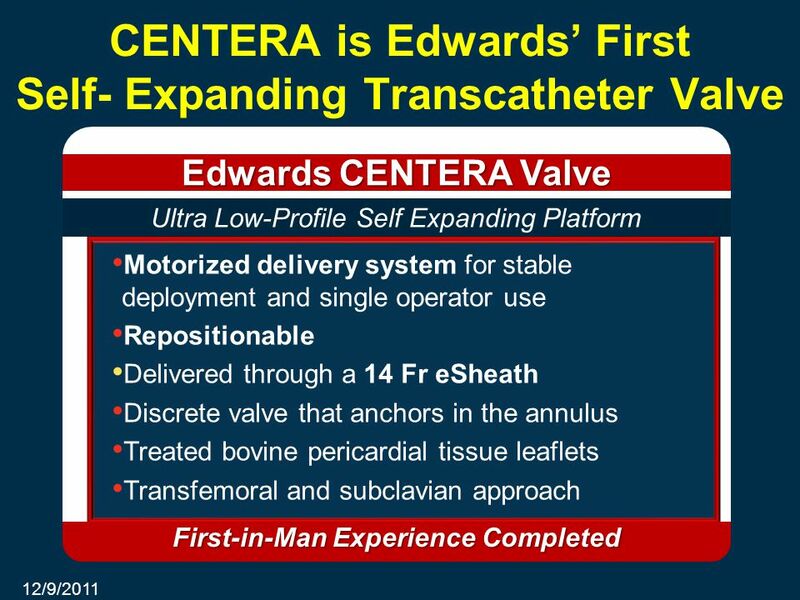 STS 2015 John V. Conte, MD Professor of Surgery Johns Hopkins University School of Medicine On Behalf of the CoreValve US Investigators Transcatheter Aortic. INTERNATIONAL CAUTION: For distribution only in markets where Engager has been approved. Not approved in the USA, Canada, or Japan. Medtronic Engager Transcatheter. Hospital Israelita Albert Einstein São Paulo São Paulo SBHCI 2010 Belo Horizonte, MG; July 23, 2010 Update on TAVI Studies: Edwards SAPIEN® Transcatheter. Cardiac Magnetic Resonance Versus Transthoracic Echocardiography for the Assessment and Quantification of Aortic Regurgitation in Patients Undergoing Transcatheter. INTERNATIONAL. CAUTION—For distribution only in markets where CoreValve has been approved. Not approved in the USA or Japan. Non destiné au marché français. Transcatheter Aortic Valve Intervention 3 rd April 2012 Dr Nithin P G Dr. Nithin P G.
Prospettive nell’utilizzo delle valvole percutanee: oltre la stenosi valvolare aortica degenerativa Luca Testa, MD, PhD Istituto Clinico S. Ambrogio Milano. Martin B. Leon, M.D., Craig R. Smith, M.D., Michael Mack, M.D., D. Craig Miller, M.D., Jeffrey W. Moses, M.D., Lars G. Svensson, M.D., Ph.D., E. Murat.